Recently a client contacted me a after an OCS Enterprise implementation. 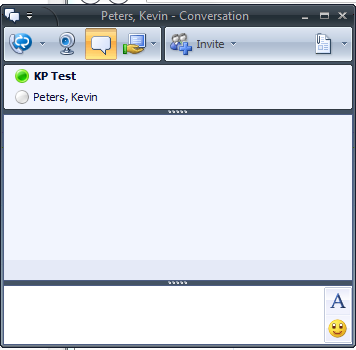 The client noticed during their user training sessions that users could not see the presence of other users when searching in communicator. The issue would resolve itself once the contact they were searching for added them to their contact list. I checked the forest level properties under the user tab but “Enable users to view Presence information for non contacts” was already checked. At this point we enabled file level tracing on the client side. To do this you need to create a new DWORD named “EnableFileTracing” under HKCU\Software\Microsoft\Tracing\uccp\Communicator and set the value to 1. OK, so we now know we’re getting the Presence information from the server, but for some reason the client isn’t showing it. We do the typical stuff next, turn off third-party apps and antivirus, but we still have the issue. Next we take a non-domain machine and test and we immediately see Presence. Now we know the issue has something to do with the domain. When we turned the policy back on, Presence broke again. Now I’m a little bit surprised, it must be something environmental. The customer does have 2008 R2 running on a number of their domain controllers. That could be it, right? Nope! I replicated the issue in my lab running 2008 domain controllers and just for fun, tested on my company’s’ domain (still 2003 DCs) with a test OU and the issue persisted. I’ve contacted Microsoft and am working with them to verify the issue. If there is a patch released or a KB I will certainly update the post, but for now it looks like you just need to disable SIP compression (at least when it is based on ping response time). This entry was posted in Uncategorized and tagged Communicator, MOC, OCS, OCS 2007 R2, OCS Presence not working for non contacts, presence. Bookmark the permalink. Just had a client run into this. However, no SIP compression. It looks like it might have something to do with the way the client was deployed: via 3rd party app instead of GPO. The first few clients worked fine, which is what threw me. What third party app were you using to deploy the client? Do you have any idea why it broke this feature? 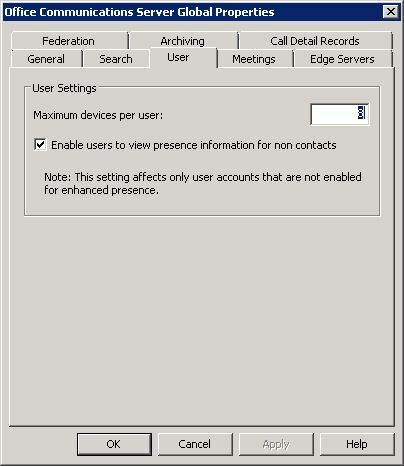 Is there a group policy or regedit I can perform to force my users to stay logged into OCS? One of the 3 may do what you are looking for.